Join our outstanding speakers and specialists in their fields, MGGNO Master Gardener and Landscape Horticulturist Tammany Baumgarten, Gulf District Chairman of Old Garden Rose and Shrub Peggy Martin, and state Vegetable Extension Specialist Dr. Kiki Fontenot, as they discuss plants suitable for your home garden. At check out, you will have an opportunity to pre-order event merchandise (heirloom and native plants, brocolli plants and a vegetable gardening book) that will not be for sale at the symposium. Landscaping with Native Plants. Because native plants evolved in our part of the world, they are acclimated to our weather patterns and soil conditions, and are not as prone to disease issues. 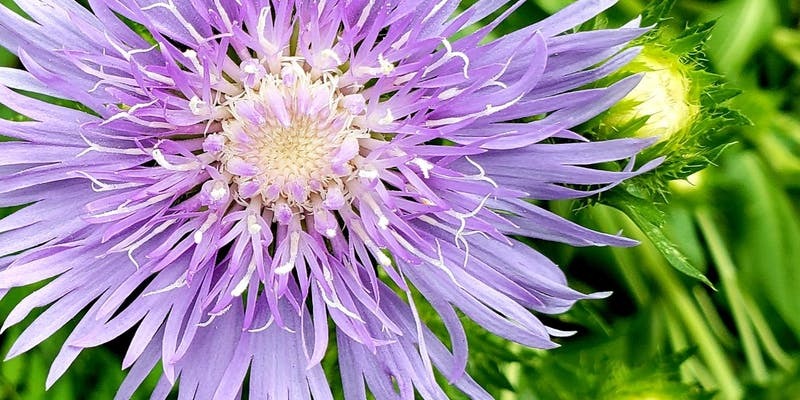 Learn about many fuss-free native plants that can be used to make your gardens beautiful, resilient and easier to care for. Landscaping with Local Heirloom Plants. Non-native heirlooms such as crinum, Shi Shi Gashira camellia (an LSU Louisiana Super Plant), sweet olive, fig, foxtail fern, and Chinese fringe tree have adapted to Louisiana’s growing conditions and are freeze and heat tolerant, have few diseases, require little pruning and are available locally. Hear the ‘Peggy Martin Rose’ story and learn how to grow and maintain this found rose. Local Vegetables and Herbs. Low maintenance vegetables do exist. The key to lower maintenance is (1) choosing the ideal location, (2) selecting the correct varieties, and (3) constructing the garden in a manner to reduce size without reducing yields. Learn about which vegetable crops are easier to maintain than others, pest reducing production practices, and what we can grow easily right here in Louisiana. is the owner and operator of BaumGardens Landscape & Design and has designed, installed and maintained gardens throughout the New Orleans area for almost 20 years. She is a licensed Landscape Horticulturist with the State of Louisiana, a member of the Louisiana Nursery and Landscape Assn., the Louisiana Native Plant Society and a Past President of the Master Gardeners of Greater New Orleans. She has a keen interest in sustainable horticultural practices and is an avid proponent of native and wildlife gardening. Her love of butterfly and hummingbird gardening brought about a lot of experimentation with growing unique and different flowers from seed. is Vice President (2007 to present) of the Heritage Rose Foundation, Treasurer (2010 to present) of the American Rose Society, Chairman of the Gulf District of Old Garden Rose and Shrub, Vice President and Past-President of the New Orleans Old Garden Rose Society. After Hurricane Katrina in 2005 flooded her property with 20 feet of saltwater, mud and debris for weeks, she spotted a rambler rose she had started from cuttings more than a decade before. The rose had no recorded name, so she took on the task of propagating and distributing what is now known as the Peggy Martin Rose. is the state Vegetable Extension Specialist and an Associate Professor at LSU. Dr. Fontenot is responsible for the commercial, home and school vegetable programs in the state. She writes for Louisiana Gardener Magazine, serves as the secretary for the Louisiana Fruit and Vegetable Growers’ Association and loves gardening at home with her children and husband. Coffee and registration open at 8:00 AM. No food or drink allowed in the auditorium. First speaker begins at 8:30 AM. Pre-ordered event merchandise can be picked up after program is over. In addition, when you register, you’ll have the option to purchase online native and heirloom-plants and Dr. Fontenot’s book, “The Louisiana Urban Gardener, A Beginner’s Guide to Growing Vegetables and Herbs”. Seating is open and limited. We encourage you to register and arrive early. Have a question? Please email symposium_project@mggno.com. Follow us on Facebook.com/MasterGardenersOfGreaterNewOrleans for updates and the latest news about our 2019 Winter Gardening Symposium.